Even those with the best of intentions procrastinate taking MTTC practice test questions. But if you have three weeks or less to go before the day of your big exam, it’s time to pick up the best MTTC study guides and get cracking to prepare. But don’t just cram all the information from your books into your brain. After all, you need to learn how to remember as much as possible, and what content you should focus on first! 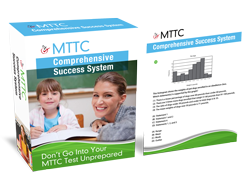 Feeling overwhelmed at all you have to do in order to pass your MTTC exam? Not to worry: these test prep tips will help you prepare for your testing date, no matter how close it might be! Get Your Study Priorities Straight! Ideally, you’d need at least two months to cover everything that will be on your exams. Unfortunately, you may not have that amount of time at your disposal to devote to MTTC prep. Therefore, you’ll need to prioritize your practice sessions to revolve around those areas in which you’re weaker. Don’t waste time studying subjects that you already have a good grasp of – instead, focus on strengthening those areas which might provide you with plenty of trouble during the day of the exam. If you’re not sure, take a diagnostic practice exam in your review manual first to get a grasp of what areas you need to focus on. Again, don’t be surprised to discover that you’ll need loads of time to earn a passing score. However, huge chunks of time can be hard to come by these days. Therefore, carry your preparation notes around with you to ensure that you can take advantage of every free moment that appears during your day. For example, spend time studying during your lunch break, in between classes or even on the subway when you’re heading home for the day. You’d be amazed at how much extra time you can find throughout the day to devote to your MTTC guide. Each moment gives you the opportunity to sharpen your knowledge and stuff more content into your brain-so don’t waste it! Simply reading your study sheet won’t help you to absorb the amount of information that you need to ace your evaluation – you need to actively use them! Take the practice exams in the back of your study materials for the MTTC, write notes in the margin and underline points that interest you. This will help you to absorb those lessons like a sponge!